This section will help you configure and improve the security of the agent-to-server communication using correct SSL/TLS certificates and verification process. The GoCD agent allows for some configuration to be able to configure and secure the end-to-end transport security to varying security levels. The agent by default trusts any and all certificates offered to it, which may possibly allow for MITM attacks. 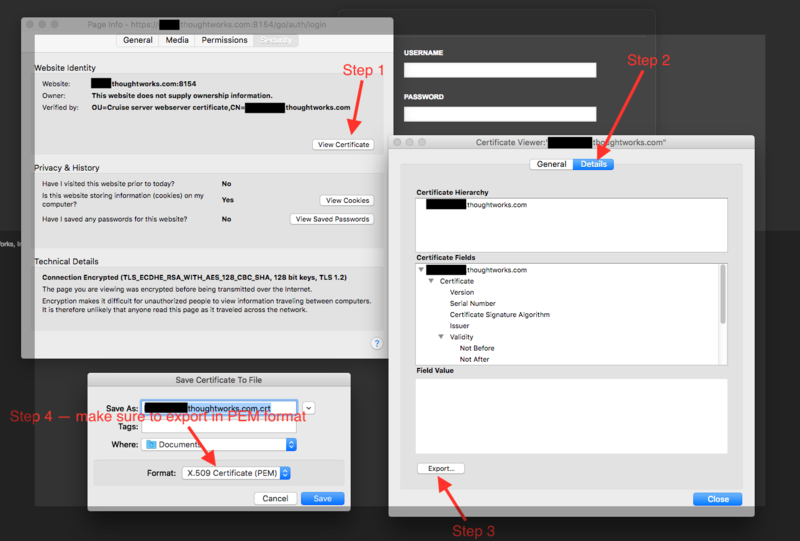 If you’d like to improve security further, by providing your own server certificate, you may provide one of the following options before starting the agent process. The -sslVerificationMode option allows you to choose the level of verification you’d want. NONE (the default) will disable all SSL/TLS verification. NO_VERIFY_HOST will perform certificate check, but ignore verification of the server hostname. FULL will perform complete certificate validation. Setup the system environment AGENT_BOOTSTRAPPER_ARGS before running the batch file. You may either set it from the command line, or if you’d like to make the change permanent, you may choose to set it from the “Advanced system settings” dialog from “Control Panel”. $ export AGENT_BOOTSTRAPPER_ARGS="-rootCertFile /path/to/root-cert.pem -sslVerificationMode FULL"